Scenic Pine Forest Fireplace Screen. 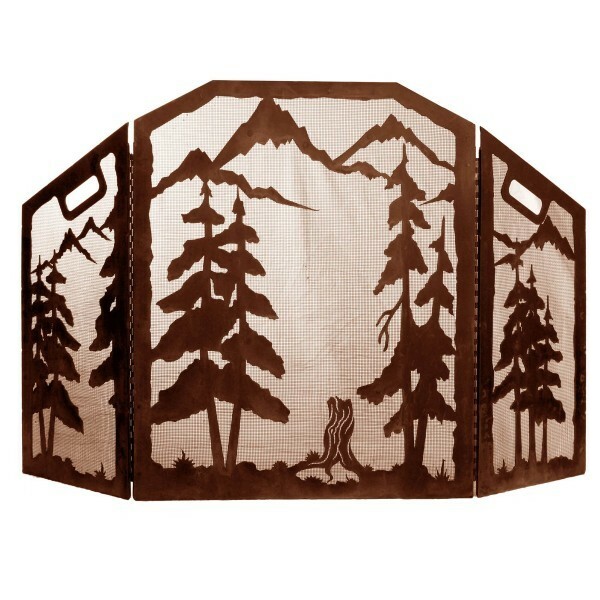 This rustic fire screen has a rust finish and provides safety from sparks while adding a decorative element to your room. Made in the USA. Scenic Pine Forest Fireplace Screen. This rustic fire screen has a rust finish and provides safety from sparks while adding a decorative element to your room. This three panel pine tree fireplace screen measures 34" high x 55" wide.